[A] What do the circles in the "Welcome to Fabulous Las Vegas" sign represent? [Q] What do the circles in the "Welcome to Fabulous Las Vegas" sign represent? Nothing beats the vintage cool of Las Vegas in its heyday. What was once a small mining town in the southern tip of Nevada would forever change when gambling was officially legalized in 1931. That’s also the same year that construction started on the Hoover Dam, without which Las Vegas wouldn’t have enough water to become the thriving destination that it is today. The city’s oldest hotels and casinos can be found downtown in the Fremont District. The Strip wouldn’t be developed until the 1940s and didn’t really hit its stride until the 1960s. Developers continued to build bigger and glitzier casinos, which means many of the original hotels went the way of the wrecking ball. But some of the Las Vegas Strip’s original hotels still stand, even if they are unrecognizable after decades of expansions and makeovers. Below, discover the five oldest hotels on the Strip. The opulent Caesars Palace opened its doors on April 5, 1966. The Roman-themed getaway was developed by Jay Sarno, who would also go on to develop the Circus Circus casino. Sarno and his partners spent $24 million to develop the hotel, much of it borrowed from organized crime. Sarno’s group spent more than $1 million on the hotel’s opening party alone, which served guests more than two tons of filet mignon and 50,000 glasses of champagne. 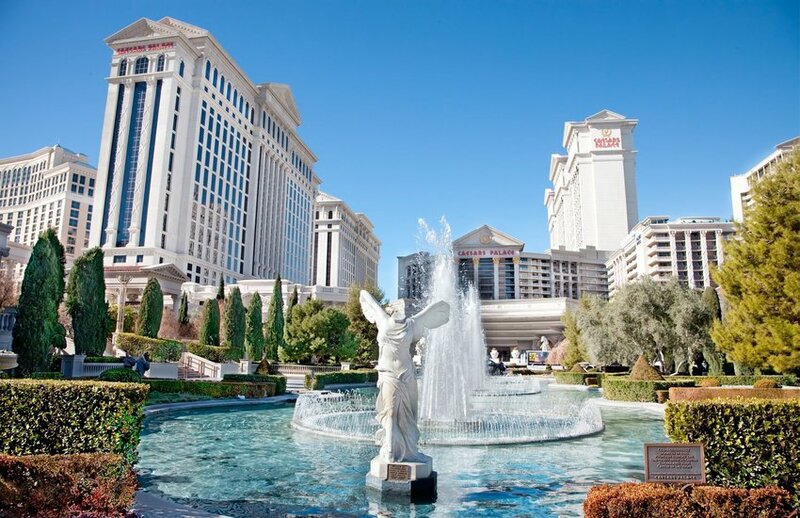 Originally 680 rooms, Caesars Palace has since grown to have 3,976 rooms. What is today known as The Linq Hotel & Casino, started out as a 180-room motel called the Flamingo Capri. It was developed for about $2 million by George E. Goldberg and Bill Capri, a former employee of the original Flamingo Hotel & Casino next door. Since its opening in 1959, the property has undergone multiple name and ownership changes. 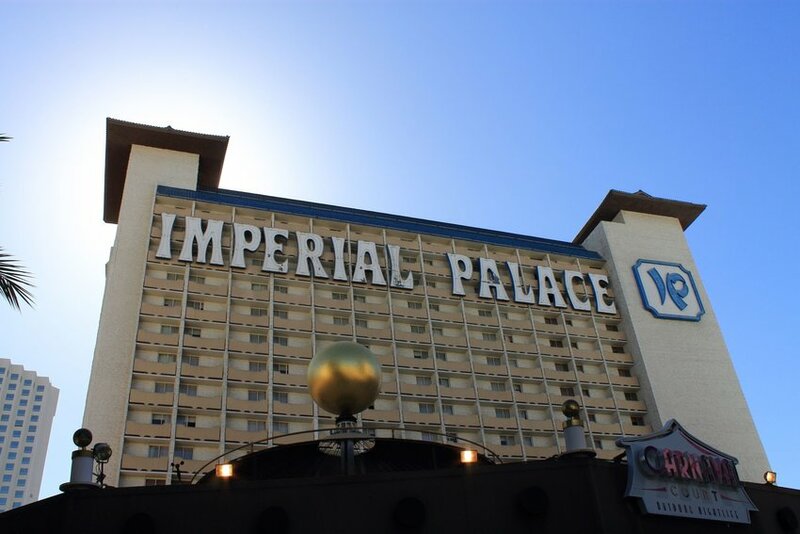 Starting in 1979, it operated as the Asian-themed Imperial Palace (pictured above) for more than 30 years. Caesars Entertainment Corporation bought the property in 2011 and redubbed it the Quad for two short years. They then renamed the casino The Linq after completing a $223 million renovation. Over the years, it has expanded to include 2,640 rooms.